Home Unlabelled Maria Ressa: "Fake news is state-sponsored of Duterte admin to intimidate critics"
Maria Ressa: "Fake news is state-sponsored of Duterte admin to intimidate critics"
MANILA, Philippines – Rappler CEO and Executive Editor Maria Ressa testified before the Senate and said that some governments resort to spreading fake news to silence dissent. She said Rappler participated in a study, set to be released "in the next few months," which is similar to the one published by FreedomHouse.org, a US-based non-government organization, last November. “They studied 65 countries around the world and found... that social media provided cheap armies to potential authoritarian and dictators to control and manipulate public opinion,” Ressa said. The NGO reported that the Philippines has a cadre of paid online commenters as part of a "keyboard army" that sought to support President Rodrigo Duterte and attack detractors of the administration. Advertisement Ressa also presented before the Senate committee on public information and mass media the data that showed how social media, specifically Facebook, is being used to harass critics of the administration. “So I think what you’re seeing in our country is something that’s similar to other countries around the world, when a campaign machinery becomes weaponized. And the irony, of course, is it didn’t become weaponized until after President Duterte won. That happened in July of 2016,” Ressa said. She then explained how certain social media users were found to be fake, using others’ photos and using cut-and-paste commenting styles. It was found, she said, that these people would usually comment or post their messages on campaign pages of Duterte and, citing one example, combining those the pages supporting Bongbong Marcos. 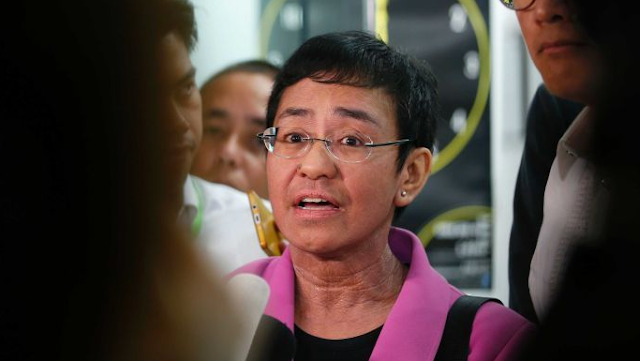 Ressa’s testimony came amid the Securities and Exchange Commission decision to revoke Rappler’s license for supposedly violating the 100%-Filipino ownership rule. Rappler and other local and international groups have slammed the ruling seen as a curtailment of press freedom. The company has already appealed the decision before the Court of Appeals.